March 23, 2007: Sunny and warm, Water temp rising to 52* and stained. Caught bait early and started fishing points midlake. We caught a few punks and before we knew it boats were everywhere. Boat motors turned the fish off where we were fishing so I went to the other side of the lake and set up in a quite bay. We made one pass and put a fish in the boat so we circled around and worked this bay for the rest of the day. The fish never got going well because everytime we caught a fish other boats or guides would see us and spook the fish. 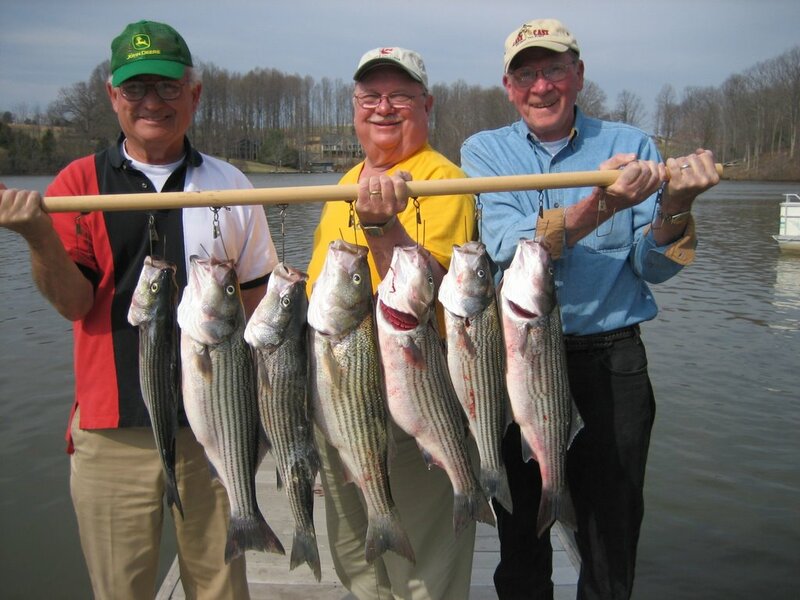 We gave it our best shot and ended up catching 12 Stripers, clients keeping 7, largest 11.4 pounds.